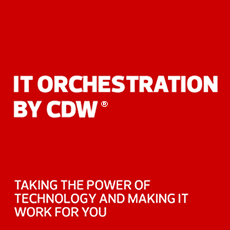 At CDW, everything we do revolves around meeting the needs of our customers. It's a philosophy we've held for over 30 years. The vision and strategic direction of CDW's leadership team led to net sales of more than $14 billion in the trailing 12 months ending March 31, 2017. Over more than 30 years, we've contributed millions of dollars and thousands of volunteer hours to improve the communities where we live and work. Read CDW's latest company announcements and technology reports, and learn how to reach our media relations team. Forbes named us one of America’s Best Employers. Glassdoor called us one of the 10 best tech companies to work for outside Silicon Valley. Come join us. Read CDW's latest financial announcements, filings and releases, and learn how to reach our investor relations team.